Warwickshire County Council Public Health is supporting Dry January 2018. For the past five years Alcohol Concern’s behaviour change campaign has been changing the conversation about alcohol. Alcohol is the UK’s biggest risk factor for death, ill-health and disability for people aged 15-49. This Dry January, Alcohol Concern is working with six national charities to tackle issues closely related to alcohol. You can raise money throughout Dry January and together, reduce the harm caused by alcohol. In 2017, 5 million Britons took part in Dry January and used the new relaunched app, Dry January & Beyond which was downloaded by over 36,000 people globally. National research shows nearly one quarter of adults are drinking more than the recommended weekly limit of alcohol. The harmful effects of alcohol misuse is of increasing public health concern. Alcohol consumption is related to a range of adverse health effects including increased risk of certain types of cancer (including breast cancer), hypertension, certain types of dementia, depression, type 2 diabetes and alcohol related brain damage. 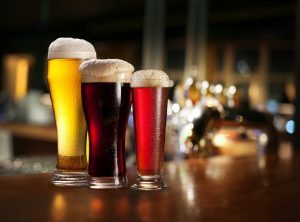 The new guidance released in 2016 recommends 14 units per week for both men and women and advises that there is no safe limit for drinking alcohol. In Warwickshire, a variety of services are available to those in need of support to deal with reliance on alcohol and/or drugs. These services continue to support those most in need. Two such services, The Recovery Partnership and ESH Works, have worked with local residents Lee, Marie, Loraine and Lee, to help them on the road to recovery. Find out more about how they are giving back within their new roles as volunteers and helping others to tackle alcohol and drug addiction.